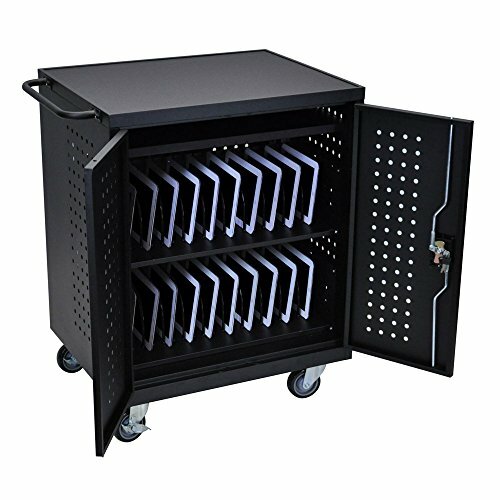 Safely fits tablets/Chromebooks between padded 1" dividers. Locking doors ensure overnight safety for devices. Top storage shelf allows space for additional IT items. Easy assembly; only attach casters and handle. Rear doors give access to two 16-outlet and one 10-outlet vertical power strips. If you have any questions about this product by Luxor/H.Wilson, contact us by completing and submitting the form below. If you are looking for a specif part number, please include it with your message.